Create your own personalized Sony Xperia XZ full wrap hard case. Your image is printed on the whole back of your case to make it unique. You benefit from the best quality of protection for your phto. Design your own Sony Xperia XZ case. Designing a phone case with a picture looks so simple and indeed it is, but what more will you have with this type of cover? Your picture will be printed on polished plastic. It is an excellent material to print your picture very quickly and at the same time, it is very reliable. We must produce a cover that will not interfere with the use of your Xperia XZ. That's why the Sony Xperia XZ full wrap hard case has recesses that allow you to easily use all the features. 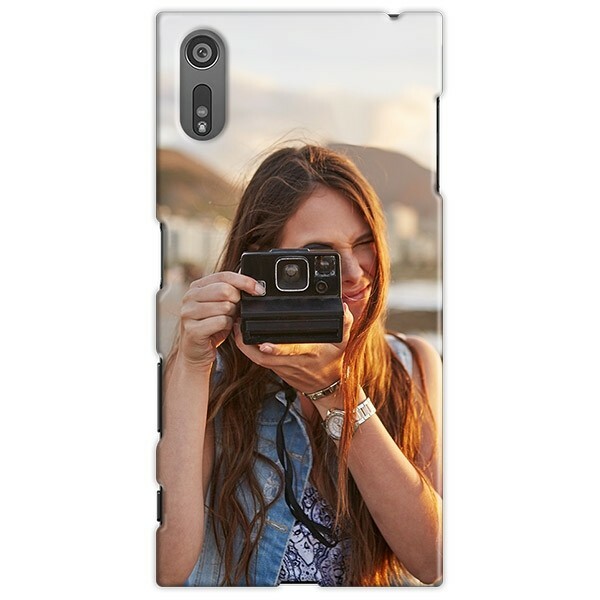 A phone case with a photo not only gives your smartphone a unique look, but also provides good protection. 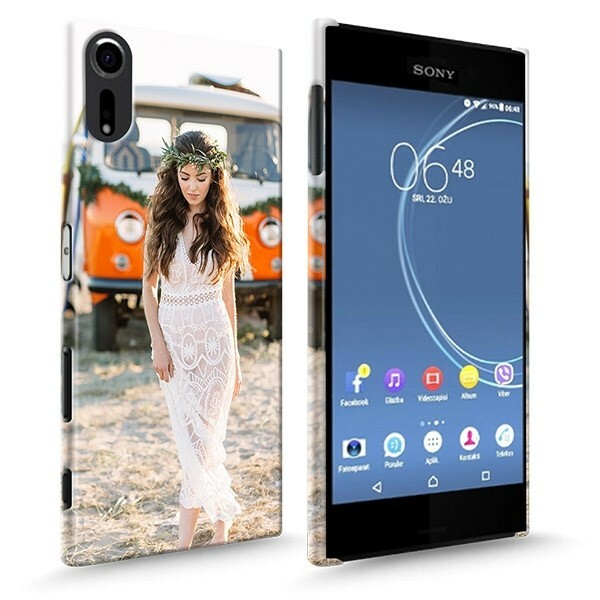 Design your Sony Xperia XZ case. Designing an Xperia XZ case is very simple, but why is it so easy? With GoCustomized, you use a highly accessible design module. You can use this design module to upload all kinds of pictures for the design of your own phone cover. In just a few steps, you already have your own phone case with you photo or design. No need to transfer photos from Facebook to your computer. You can use our social media button in the design module! With this you can upload picture from Facebook and Instagram. A unique case in a few steps. We think everyone deserves a unique phone case. Once you have created the design, we will produce it with great enthusiasm. Using advanced printing techniques and high quality ink, we can print the covers very quickly. We like to work quickly and easily, so we can and will complete the delivery and the conception in a few steps. Therefore, you don't have to wait long and you can expect to receive your case quickly at home!